As Americans across the country unify in support of the many people affected by Hurricanes Harvey and Irma, fewer people are discussing the bigger problems at play in the background of these disasters: governance management, social inequality, and climate change. This hurricane season is being reported as unprecedented in both the scale of the storms and their ensuing impact. Harvey and Irma have successfully garnered national attention and alarm over increasing severity and frequency of climatological events in the future. And more recently, the devastating impact of Hurricane Maria in Puerto Rico. But despite these events, public concern typically dissipates back into oblivion after storms pass. How can the country translate its non-partisan, but fleeting compassion over these disasters to long-term concern and willingness to undertake systemic issues much greater than the storms themselves? The severity of this hurricane season can serve as an opportunity to broaden public consciousness over the global phenomena of disasters with escalating magnitude and impact. Harvey, Irma, and Maria are reminders of a shared climate challenge by all, which becomes more critical every year. Inconsistencies in media coverage of Harvey and Irma are worth discussing. Harvey and Irma’s destruction in the American South pales in comparison to its impact just beyond our borders in eleven Caribbean island countries and territories. Barbuda took a direct hit from Irma, likely the worst hit nation with 1,400 people homeless and 95% of the island decimated. While reports of hurricane destruction in the Caribbean blanketed American media before the storms reached the US mainland, once Irma tore into Florida, media ceased its reporting on the continuous suffering across several Caribbean states. In researching for this blog piece, I could not find current statistics summarizing the hurricane’s impact in the Caribbean; updated assessments of the Caribbean impact remained dated from before Irma’s landfall in the US. I imagine the same media coverage scenario will occur for Hurricane Maria’s landfall in Puerto Rico. Now, initial reportage of the immediate devastation in Puerto Rica is strong, describing the island’s total blackout, intense flooding, and lack of public communication channels. But a week and half from now, Puerto Ricans will continue to suffer while the media and the public turn their attention on to the next current event. Differences in reporting on natural disaster events persist on the global scale as well. The disparity between the U.S. and the Caribbean in capacity to respond and recover from hurricane destruction is also undiscussed in the media. While FEMA is fraught with its issues, and the U.S. government response leaves much to be desired, there exists a tremendous non-profit infrastructure to support and oftentimes supplant government relief in the US. Our smaller Caribbean neighbors, island countries, have nowhere to evacuate and lack the resources to provide adequate assistance in recovery efforts. Scale up this disparity on a global level, to the natural disaster impacts endured in Asia, and consider the even greater inequality in capacity. As Americans reflect on the damage and hardship felt by hundreds of people in Florida, Texas, and the often-forgotten Caribbean, we can likewise be reminded of the similar, but greater plights tens of thousands of people face across Asia. Several sub-regions in Asia experience near total devastation almost annually because of catastrophic environmental events. Yet, media coverage over the new reality of climate-induced natural disasters is scarce. In this year alone, 41 million people in Asia were affected by environmental catastrophes. Major transboundary floods inundated huge areas of territory in India, Bangladesh, and China this summer, amounting to 1,200 deaths. Harvey took 70 lives in the US, and Irma left 12 people dead. Many Americans and even more Caribbean island inhabitants now face homelessness or insurmountable costs to repair their homes and businesses. The long-term Harvey-Irma recovery process, especially in the Caribbean, is not to be discounted. However, the magnitude of devastation and desolation in Asia is incomparable. The entire world is undergoing an unprecedented climate shift; but the acute degree to which Asians are experiencing subsequent environmental repercussions of this shift, warrants greater attention. In this day and age, few other global events are capable of connecting the world in solidarity. The outpouring of donations, volunteers, and dispatch of social workers from far and wide is a powerful testament to our shared humanity. Recent events can help expand our awareness of the magnitude of human suffering due to environmental disaster just over the border and on the other side of the world. From Texans and Floridians, to those afflicted more recently in Mexico and Puerto Rico, all deserve the same attention and support. Despite the miles that separate us, we share profound common experiences. We can care about one and all, and do something about it too. June 13th, 2017, Partnerships for International Strategies in Asia (PISA), George Washington University’s Institute for Korean Studies, the American Friends Service Committee, and the Korea Peace Network hosted a day-long program considering how to forge “Paths to Building Peace with North Korea”. The event could not have been more timely. The overall theme of the day focused on shifting US foreign policy “off-ramps to war” and working towards diplomatic relations with a humanitarian assistance focus. Only half-way through 2017, North Korea and the U.S. are already on a collision course for the most likely military showdown in years. Unprecedented new leadership in the U.S. decidedly swerving away from previous administration’s approach to North Korea has many in Washington and around the world on edge over imminent confrontation between the two countries. In 1993, the United Nations General Assembly designated March 22 as “World Water Day”, a day dedicated to initiating dialogue over the global water crisis. While this year the focus is on wastewater, it is important for the world to continue to address the issues surrounding access to clean water and water security. As the lifeline of humanity, water is a sacred resource, but it is finite. It is imperative that governments and society recognize and take action to ameliorate the current shortage in the global water supply, which threatens national security and our very existence. Women attend PISA’s 2014 Myanmar Advanced Leadership Institute on Climate Change (MALICC) in Washington, D.C.
As the world becomes increasingly intertwined through trade and politics, the international community has come together to address important global issues such as gender inequality. Every year on March 8 for International Women’s Day, the world commemorates the achievements of women in various disciplinary fields and occupations from around the world. While celebration stands at the forefront of International Women’s Day, this holiday also serves to bring to light issues that continue to face women today. Since the first International Women’s Day in 1909, women’s rights have progressed exponentially, but many communities around the world still have a ways to go. In recent years, China has made headlines with its economic growth and prowess. 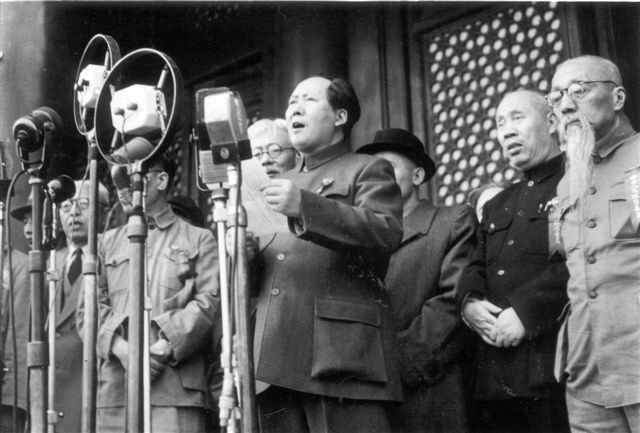 Before the late 1970s, however, China remained a predominately closed economy ruled by a communist government. China’s emergence as a communist nation took place during the Cold War, with China maintaining an important role in both the U.S. and Soviet Union’s foreign policy. During the Cold War, the global ideological divide between communism and democracy transformed Chinese society, with a lasting legacy that is still being felt in the country – and around the world – today. With a population of over 5 million in a country smaller than New York City, Singapore boasts the seventh-largest gross domestic product per capita in the world. The country’s wealth suggests that it has the financial capacity to combat the effects of climate change (unlike previous countries highlighted in this series) and reduce its carbon footprint. Moreover, given the fact that Singapore lies only 15 meters above sea level on average – and that mean sea level in the surrounding Straits has risen at about 1.2 to 1.7 mm per year between 1975 and 2009 – ignoring the consequences of climate change could prove perilous.